Sunday 12th February 2012. 37 of 50 matches. Low water 1259 hrs 1.0m. 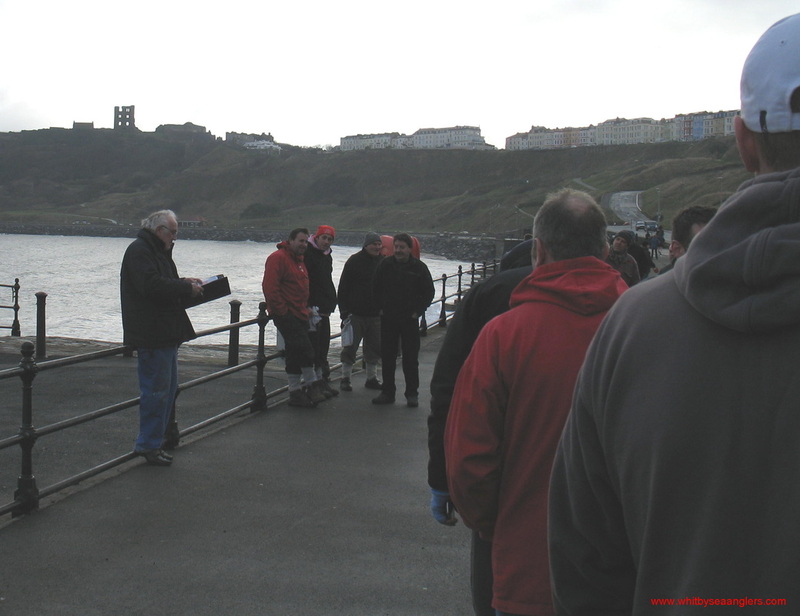 The Bell Trophy, the inter club fishing competition organised by Scarborough Rock Anglers was fished on sunday 12th February. 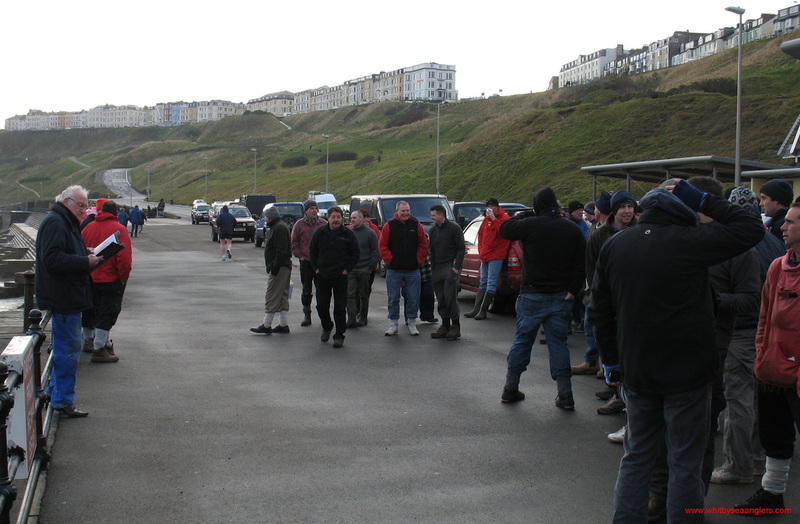 Anglers met on Marine Drive, Scarborough at 0930 hrs. Each club submitted names and teams of competitors to the organisers. 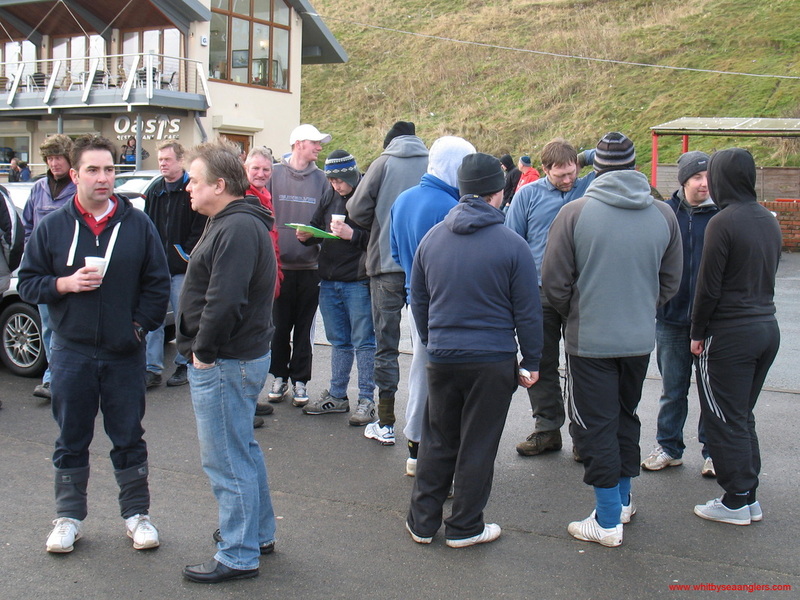 Whitby Sea Anglers had 15 anglers split into 2 teams, A & B. After a brief talk by the organisers, detailing fishing times, rules and cautions on where not to park, competitors were set away. Fishing was from 1100-1500 with boundaries from Argyle Gully, (just north of Hayburn Wyke) to Coble landing at Filey. Weigh in at Scarborough Angling Social Club 1500-1600. 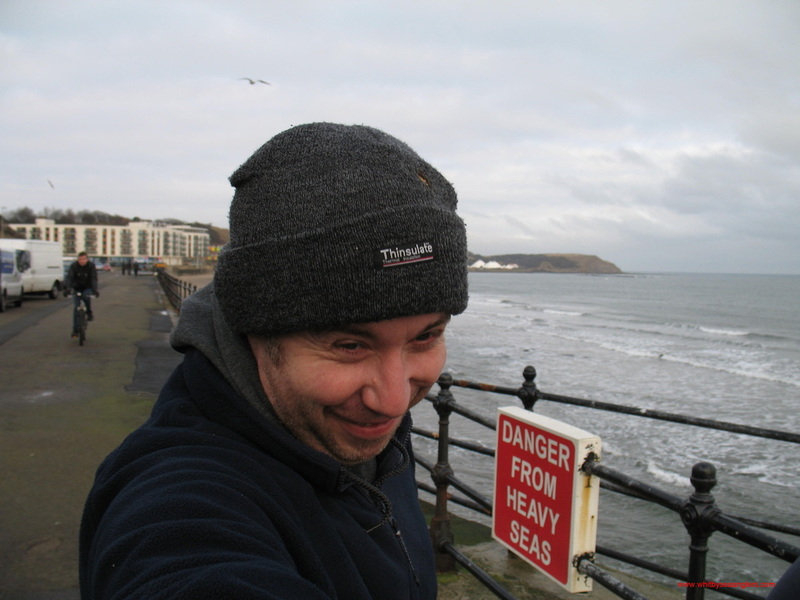 Weather wise, it was a clear dry day with a freshening northerly wind and a little north easterly swell. Water was crystal clear with low water at 1300 hrs on a 1.0m ebb. 81 anglers competed and only 7 weighed in 15 fish for 5 lb 14 oz 06 drams. 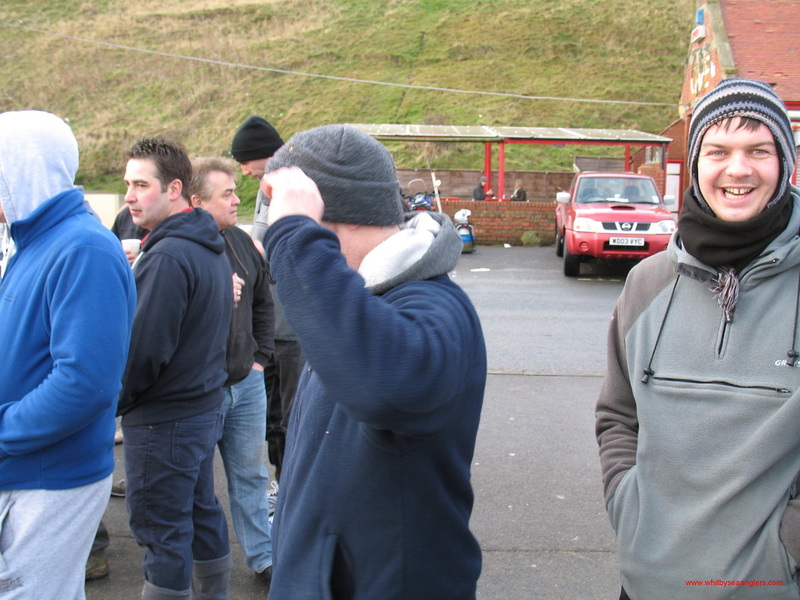 There were no codlings weighed just 2 billets (coal fish) and 13 dabs. 4th Cloughton with a total weight of 0 lb 05 oz 04 drams, Av/man 0 lb 00 oz 08 drams. M Garbutt, with his 1 billet of 1 lb 04 oz won both the WSAA heaviest bag and heaviest fish sweeps. And the heaviest fish of the competition.